Big savings! 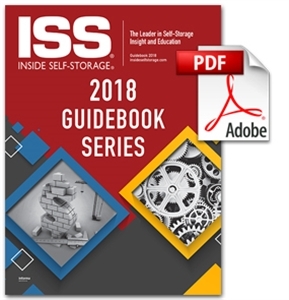 The Inside Self-Storage 2018 Guidebook Series contains both publications at a discount of more than 20 percent. Get detailed insight on building, investing, ownership, management and more. 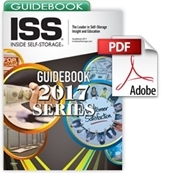 NOTE: These digital Guidebooks are in PDF format. Upon completion of purchase, they will be immediately available to you in your "My On-Demand Library." 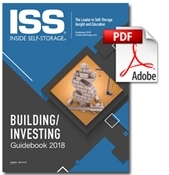 Building/Investing Guidebook 2018 – Designed to help those interested in self-storage investing as well as those who want to establish or expand an operation, this Guidebook addresses real estate, finance, development and construction. 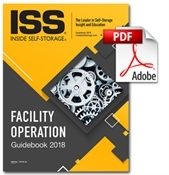 Facility-Operation Guidebook 2018 – Designed for managers and owners, this Guidebook addresses key aspects to self-storage operation, providing insight to revenue, sales, legal issues, marketing, maintenance, liability, technology, security and much more. For more detailed descriptions of Guidebook contents, please refer to each individual product page by clicking on the linked title. If you prefer to purchase the Guidebook Series in a softcover format, click here.